A recent report by IDTechEx suggests that this sector will reach $7.8 Billion in 2013 and is expected to rise to 30.2 Billion by 2024. Despite the economic downturn the RFID market continues to flourish with most of this success is attributed to solutions in inventory and asset tagging. From IT technology management to retail apparel advances in RFID technology continue to fuel this sector. Radio-frequency identification (RFID) systems can be used in various industries that require a unique identification method. Tags can function as trackers and also relay valuable time sensitive information about a specific asset. Often compared to bar code technology RFIDs ability to scan assets from a further distance and non manual scanning used to communicate with RFID readers solidify the technology’s presence in the IT solutions category. New research shows challenges as well as opportunities for varying RFID applications and companies. Breakthroughs in both passive and active RFIDs have been covered in various tech magazines around the world. Although passive and active tags are often accessed together, active tags are responsible for the increase of spending in the market. The tags are slated to increase from 12.7 percent of the market to 26.3 percent by 2017. Active tags use their own power source, most commonly a battery, and are more beneficial for tracking data center assets. While rapid growth can be seen in the retail apparel division a ten year forecast shows that several other categories will see growth including logistics, asset management, healthcare and pharmaceuticals. One company in particular, RF Code, an industry leader in real time asset management and wire-free environmental monitoring has announced the ground breaking launch of the smallest active asset management tag. The M174 active RFID tag is designed to improve data transmission and includes a selection of tabs for flexibility in mounting and reuse. The device is approximately 40 percent smaller than the company’s current IT asset tags. Its design caters to rack-mounted assets and boasts innovative solutions. Active RFID tags are ideal for high cost and value items throughout the assets lifecycle. These tags are best used for time sensitive and environmental asset management because they transmit real-time data about high security or expensive assets. Whereas, passive tags are best used for assets that may come in close contact with a choke point or scanner. Manufacturing line applications and inventory solutions are ideal candidates for passive tags in most cases where reliably tracing assets is not a primary concern. As evolving uses for data penetrate the IT industry, manual systems are losing their steam as security risks and asset loss continue to climb. 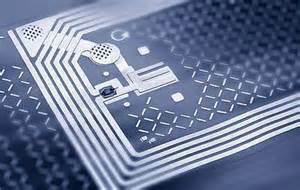 Advances in RFID technology integrated with high risk assets are the fibers that stimulate the growth of the RFID market. Source: RF Code – the world’s fastest growing, leading provider of distributed IT environmental monitoring and asset management solutions. As an innovator in the industry, a stand-out feature of RF Code is the capability to collect data in real time through their wide portfolio of wire-free tags and sensors for asset management and environmental monitoring.